The Valentine Weekend Go Go: Fake Prom, Dating Game Dance Party, Art & Poetry + More! V-Day approaches: the holiday of hearts, flowers and cuddles or angst, rue and gnashing of teeth. Here are events to indulge either or both. Happy Valentine’s Day, you emotional multi-tasker, you. Have a heart full of love but a pocket low on cash? Want art and poetry and sunsets but flying solo? Just want to do something unique for Val-Day ’14? 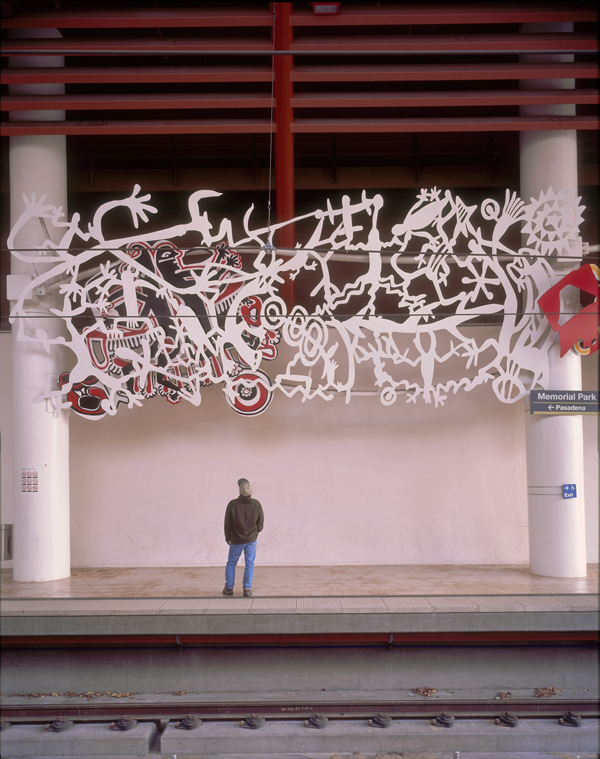 If you answered yes to any or all of the above, head to Union Station for Metro’s Sunset Art Tour with Mike “the Poet” Sonksen. For this special, one-night-only Valentine’s Day event, 3rd-gen Angeleno Sonksen — known for his unique, poetic/historical rambles through L.A. — will lead guests on a poetry-infused tour of art work at Metro Gold line stations. Think poetry isn’t your “thing”? Think again. Sonksen is one of the most dynamic performers in SoCal; he’ll shake up your heart, rattle your brain, and show you just how exciting spoken word can be. The 90 minute tour — free aside from the price of the Metro ticket — ends at the King’s Row Gastropub in Old Pasadena. The tour is 90% walking. You may be thirsty. Luckily, King’s Row Gastropub has 24 beers on tap plus delish dishes like Pub Fondue, Mussels with Beer and Chorizo, and Highland Park Pulled Pork sammies. Show your Metro Tap card and get $5 off your meal of yum. Because man and woman cannot live on poetry alone. SUNSET ART TOUR WITH MIKE “THE POET” SONKSEN — Fri, Feb 14, 5:30 – 7pm. Tour FREE with Metro ticket — Union Station, 800 No Alameda St, DTLA 90012. Meet at info booth. More info HERE. If you still squirm at the memory of your high school prom, give yourself a Val-Day prom do-over. Make a date with yourself, your Entourage, your Samantha, Charlotte, and Miranda, or your fave plus-one for Unique L.A.’s Fake Prom. No spiked punch of dubious origin here: expect free cocktails and non-alcoholic libations, a Coolhaus ice cream sammy bar, and a Snack Station for sustenance after you tear up the dance floor thanks to the epic DJs. The Academy of Handmade might sound dirty in the context of prom but is actually a group of crafty DIY-ers who will help you assemble boutonnières and corsages to be immortalized at the “awkward prom portrait” photo booth. Advice on the best floral accessory for your awesome tuxedo t-shirt? Priceless. 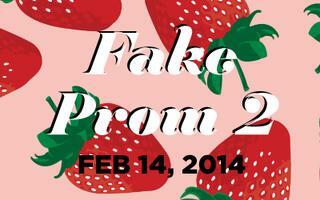 FAKE PROM — Fri, Feb 14, 8-11:59 pm. $40 —The Unique Space, 1275 E 6th St, LA 90021 Get tix HERE. Is/was The Dating Game your preferred guilty pleasure? Do you just want to get sweaty (in public) and howl (in public) at the full moon? If the answer to either of the above is “yes”, RSVP ASAP (like, now) to ensure entry to the Trip the Light Fantastic Valentine’s Day Dance Party and Live Dating Game Show. The evening kicks off with a four bachelor/four bachelorette Dating Game redux with host Ken Lay (a.k.a. Christof Certik). Fingers crossed for max number of double entendre questions and/or answers. After the singletons are matched up, DJ Jimi Hey takes over to help you trip the light fantastic until dawn…literally. Come solo, a deux, or in a crowd — this dance party doesn’t discriminate because of age, gender, or relationship status. Event producer Charon Nogues promises exotic intoxicants, make-out corners (a natural match), chocolate kisses, and indoor lounges. Also, vintage black light posters. Just because. TRIP THE LIGHT FANTASTIC DANCE PARTY/DATING GAME SHOW — Fri, Feb 14 @ 9pm – Feb 15 @ 4:00/5:00 a.m. $10 donation; RSVP by Dec 13!!! — hm157, 3110 N Broadway, LA 90031 For more info & to RSVP, go HERE. Also featuring these nut jobs…. Go Go’ers, if the upcoming Hallmark-heavy holiday has you breaking out in hives, you’ll want to make a date with My Mondo Valentine at Cinefamily, which can always be depended upon for the alt-evening and the skewed view. Which is, of course, your preferred POV. The Cupid-day offering is a compilation of film clips that range from the odd (a Pizza Love rant) to the educational (“How big does it get?”) to the downright disturbing (Fabio). Cinefamily promises the assemblage will “melt faces instead of hearts”. Because nothing says “I love you” like a melted face…. 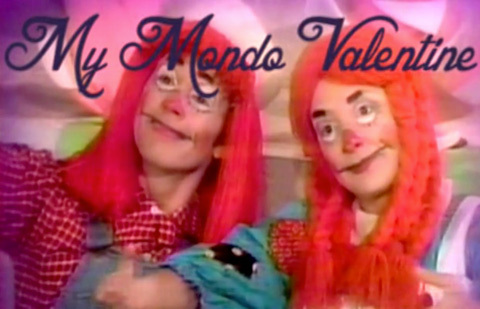 MY MONDO VALENTINE — Fri, Feb 14 @ 9:45pm; doors at 9:15. $12 — Cinefamily, 611 N Fairfax Ave, LA 90036 Get tix HERE. More Valentine/Weekend Go Go Fun!